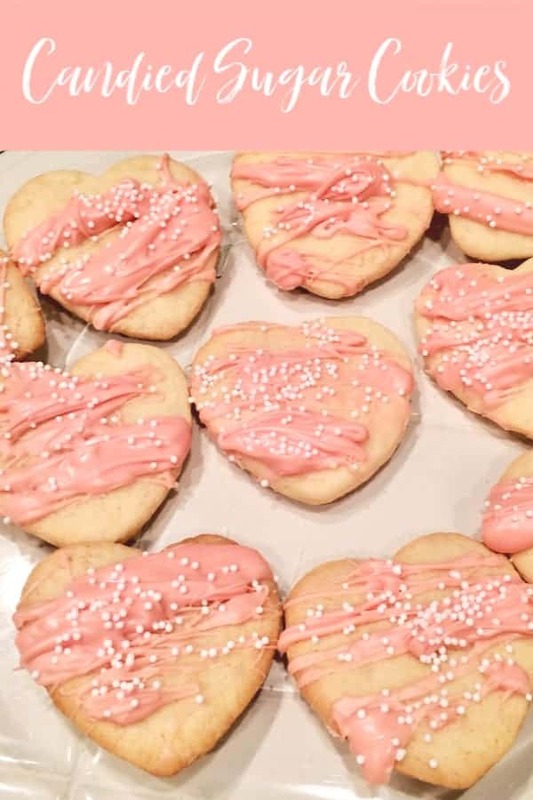 These easy Candied Sugar Cookies are a festive Valentine’s Day Treat idea! Lovely to make for friends and family! So here it is almost Valentine’s Day and if you’re like me you enjoy little ways to celebrate with people in your life. 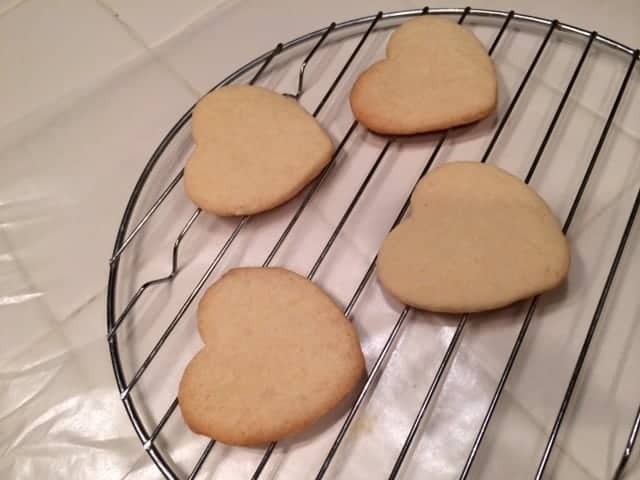 I usually like to bake some Valentine’s cookies for my family. I love to celebrate all the holidays with everyone because I really believe in celebrating life’s little moments. I am working on some fun gifts for friends at work and I also wanted to bake some cookies. I haven’t had a lot of time because this week has been really busy. So today I am sharing a little short cut for you when you want to make some cute Valentine’s snacks but are short on time. 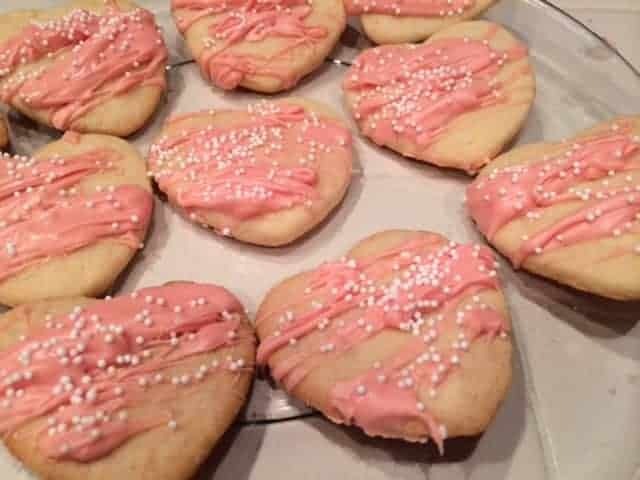 These easy Valentine’s cookies are great with homemade sugar cookies from scratch, but to save time I used a bag sugar cookie recipe. With a little bit of candy melts, these cookies look and taste like something really special. If you use a cookie mix, be sure to follow the package directions for rolled cookies. Once you have them baked, you can begin. You can even use a prepared cookie dough. These are the candy melts. They come in different colors and flavoring may be added. If you have not tried them, they are really fun and relatively inexpensive at about $2 per bag. Melt according to package directions in the microwave. You can add flavoring if you like. Then drizzle over cooled cookies. I like to top with sprinkles because it adds a nice touch. Let cool completely so that candy layer can harden. These are super tasty and oh so easy. 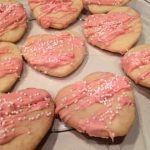 Valentine’s Day Cookie Round up – A whole round up of Valentine’s Day Cookie Recipes. Don’t forget to pin this recipe for future reference! What have you been up to this week? Have you managed to stay healthy? I love anything heart shaped and anything pink and anything with frosting/icing/melted candies on top. I’ve been eating a lot of vegetables since I got back from vacation. And going for snowy walks to the mailbox. (our mailbox is far from the house). I actually lost three pounds or so in the last two weeks! I love the fact that they’re candied – the cookies themselves. WANT WANT WANT. I love the drizzled look! Thanks Heather – it’s a nice alternative to icing. Raquel! I love these! They are soo cute! And super easy! I am visiting you via the SIITs girls…how great is this comment deal that we get to find such awesome bloggers! Glad I stopped by! 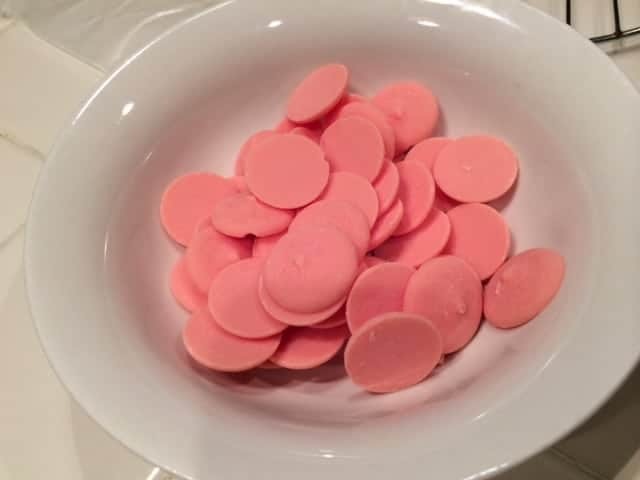 These cookies look delicious! I have not done much of anything for Valentine’s Day. I think I’ll save this recipe for a “just because” event. Thanks Rachee – yes they will work for any occaision! Did you know that I can “lend” your blog posts my Google page rank for better search engine traffic? If you upload at least 2 images, 2 steps, and blog post URL into your Tip Junkie craft room, you’ll be in business! 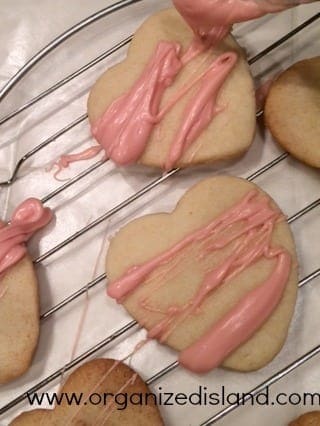 These valentine cookies look delish! Thanks so much for sharing your recipe on this week’s Monday Funday Party!